Aaron Peruzzi of Weed landed in second place in the Weed Skateboard Competition's 12 to 17 year-old division. The event, the first of its kind at the Weed Skate Park, was held Saturday. Nearly 50 skaters from Northern California and Southern Oregon gathered at the Weed Skate Park Saturday to show their skills and compete at the park's first ever skateboard competition. Competitors faced off in four age brackets for cash, trophies medals, and other prizes awarded to the top three in each division. The event was sponsored and organized by the Weed Revitalization Coalition (WRC), the Weed Recreation and Parks District, and Sportsmen's Den in Mount Shasta. "It was a very successful event, I was really impressed by the turnout," said competition planner and WRC president Joyce Oliver. "We're definitely going to plan on having another one next year." The competition began at 8 a.m. as skaters began to arrive for a warm up skate session. Preliminary heats kicked off at 11 a.m. and ran through early afternoon. Finalists from each age group then competed in main event rounds in which judges determined the winners. Following the final rounds, each division's top three finishers were announced and individually invited up to the judging/music stage for recognition and to collect their winnings. In the 18 and over age division Adam McCloskey took the title with his vast trick repertoire of high-flying aerials, creative grinds and smooth transitions. Not far behind, landing in the second and third spots, was Will Grigsby and Quinn Stewart, both of McCloud. Remaining unflinchingly composed, McCloskey simply stepped up to the podium (the judges table), gave a grin and a wave and went back to skating. 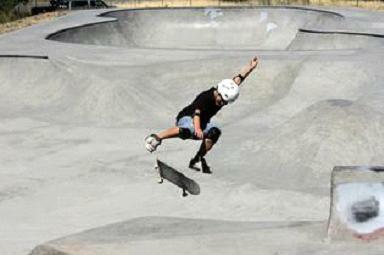 James Greenleaf of Klamath Falls spun himself into a win in the 12-17 age bracket with a 360 air out of the park's main skate bowl that impressed judges and dazzled spectators. Keeping the competition fierce throughout the day, Weed brothers Aaron and Anthony Peruzzi rolled into second and third, respectively. Greenleaf, unlike McCloskey, didn't worry about keeping his cool on the stage. He immediately broke into celebration and tossed a couple of his just won t-shirts into the cheering audience. Local Weed skaters clearly dominated the 7-11 division with Bryan Bohling, Makenna Rivers and Justin Youngman flying into first, second and third, respectively. Coming out with a win in his very first skateboard competition ever, Bohling showed his pride on stage by hoisting his trophy in a way that made it look as though he had done it before. "I really didn't think I'd win... this is amazing," 10 year-old Bohling later exclaimed. "The skill level of all the skaters is so high I really thought I would lose; but it feels really good to win." The event's youngest competitors, Dusty Ramsey and Maria Poindexter, both age four of Weed, alone represented the six and under bracket. The two athletes compensated for the low number of skaters in their 6 years and under division by performing exciting tricks, and displaying their dedication to the sport. "This turned out to be everything we hoped for, and more," said WRC vice president John Oliver. "We wanted to provide a safe and positive event for kids to participate in and come together with a productive purpose - which they have been needing for a long time." DJ D-Glitch, James Montgomery, Gavin Grossi of Brookside Bodega and Jesse Grossi and James Montgomery kept athletes and spectators entertained throughout the day playing and performing a wide range of music. Halfway through the event John and Joyce Oliver, representing the WRC, Weed Rec. 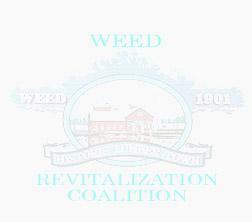 and Parks director Mike Rodriguez, and Weed Rec. and Parks board chairperson Sue Tavalero unveiled a bronze plaque that will be placed at the Skate Park. (See plaque below). 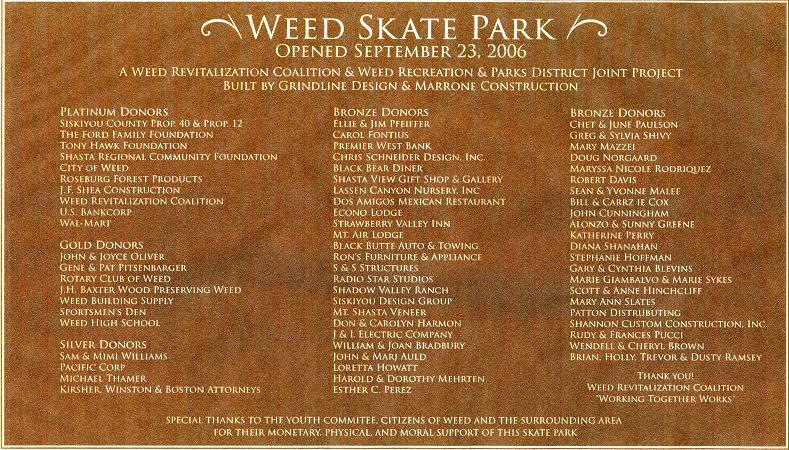 It lists the names of those who volunteered and donated to building the park, which was completed in September 2006. Rodriguez complimented all the participating skaters, and thanked everyone in attendance as well as event sponsors and organizers. "This skate park is a wonderful thing to have in our community," he said. "This is your facility, we should all help keep it clean and help keep it open."